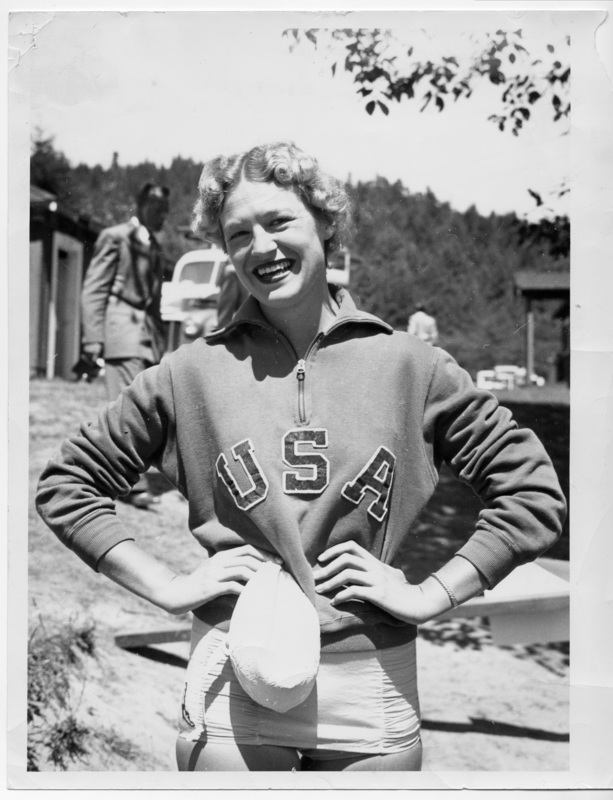 Suzanne Zimmerman Lake Grove, Ore.  1948 Olympics, London; USA winner in backstroke; Friends of the Library; library. Description Pin holes; corners torn and bent. Transcription Suzanne Zimmerman Lake Grove, Ore. 1948 Olympics, London; USA winner in backstroke; Friends of the Library; library.